La La La: Teryn Brown and Sarah Bowser's summer installation showcases states of cheeky ataraxia in 3D works, paintings, and fanciful structures. First Fridays reception Aug. 3, 7-10 p.m.., Through Sept. 1, free, Classic Cars West, 411 26th St., Oakland, ClassicCarsWest.com. Summer Sessions: An exhibition of a multitude of artists that will change as the summer season progresses. Celebration on Aug. 3, 6-9 p.m.., Tuesdays, Thursdays-Saturdays, 6-9 p.m. Continues through Aug. 25, free, Vessel Gallery, 471 25th St., Oakland, Vessel-Gallery.com. The Black Art Experience: Check out the opening exhibition for the monthlong Reunified Art Exhibition, which showcases Black artists from various ethnic backgrounds. Fri., Aug. 3, 5-10 p.m., $15. The Gallery Art Bar, 310 14th St., Oakland. Can't Deny It: Work by Chicago artist Orkideh Torabi and Bay Area-based Stacey Beach. Torabi uses painting to undermine patriarchal power dynamics in her native Iran. Beach produces sewn, collaged textiles that are abstract and deal primarily with formal relationships. Through Aug. 5. Interface Gallery, 486 49th St., Oakland, InterfaceArtGallery.com. Chroma Key: Rarely exhibited digital and video work from a variety of artists. Through Aug. 15, 5-8 p.m., free, CreativeGrowth.org. Creative Growth Art Center, 355 24th St., Oakland, CreativeGrowth.org. Concrete Utopia: Artist reception Aug. 3, 5-8 p.m.., Johansson Projects, 2300 Telegraph Ave., Oakland, JohanssonProjects.com. The Fire Progresses: Painting, printmaking, and drawing that reveal how Oakland artist Fernando Reyes evolved from abstraction to figure work. First Friday reception on Aug. 3, 6-9 p.m.., Aug. 2-Sept. 8. Mercury 20 Gallery, 475 25th St., Oakland, MercuryTwenty.com. Homesick: Francis Baker's visual meditation inspired by inequality and homelessness. Through Aug. 19. Gallery at the Werkshack, 481 25th St., Oakland, Werkshack.com. MIXED: An edgy exhibition featuring three mixed-media artists, Michael Cutlip, David Frederik Moussallem, and Andrzej Michael Karwacki. Through Sept. 1. SLATE contemporary, 473 25th St., Oakland, SlateArt.net. Send Pics: Jessica Eastburn reflects on connectedness (or the lack thereof), value judgments, and distraction through gouache, airbrush, spray paint, and cel-vinyl works on paper. Aug. 3-Sept. 22, free. Transmission Gallery, 770 West Grand Ave., Oakland, TheTransmissionGallery.com. She Says: Paintings and collages by Belgium-born artist Marie Van Elder. Artist reception Aug. 3, 6-9 p.m.., Through Sept. 8. The Fourth Wall Art Gallery, 473 25th St., Oakland. So This: Oakland native Kathleen King uses paper and found objects for her sculpture and installation work, which explores states of coexistence. First Friday reception Aug. 3, 6-9 p.m.., Aug. 2-Sept. 8. Mercury 20 Gallery, 475 25th St., Oakland, MercuryTwenty.com. Special Powers: Terra Gallery presents this exhibit featuring Rondoval, Kathleen Finley, Nathan Richard Phelps, Julia Morris, and Dominic Alleluia. Fri., Aug. 3, 6-9 p.m. 1544 Events, 1544 Broadway, Oakland, 1544Events.com. Stranded in Paradise: The fourth annual tiki art show. Through Aug. 5, free. Creative Framing & Gallery, 2700 Park Blvd., Oakland, CreativeFramingOakland.com. TRACE: Wayfinding in Contemporary New Media Art: A group show exemplifying a spectrum of artistic approaches to the idea of wayfinding. Through Aug. 31. Pro Arts Gallery, 150 Frank H. Ogawa Plaza, Oakland, ProArtsGallery.org. A Trip to the Hardware Store...and Other Adventures: Bay Area multi-media artist Wally Fields shows his interest in mid-mentury modern-inspired works, along with a trip to the hardware store for some explorations into rather unique materials to help further his expressions of positive and negative space. First Friday of every month, 6-9 p.m. Continues through Aug. 17, free. Art@Archer, 431 13th St., Oakland. Walking the Line: The gallery's annual summer group show, featuring more than 20 artists. Opening reception Aug. 3, 6-9 p.m.., Aug. 2-25. GearBox Gallery, 770 West Grand Ave, Oakland, GearBoxGallery.com. You are the result of the love of thousands: Presented by Dimitra Skandali, the summer 2018 Peripheral Visions artist-in-residence. First Friday reception and closing discussion Aug. 3, 6-8 p.m.., Thursdays-Saturdays, 3-6 p.m. Continues through Aug. 3, free. 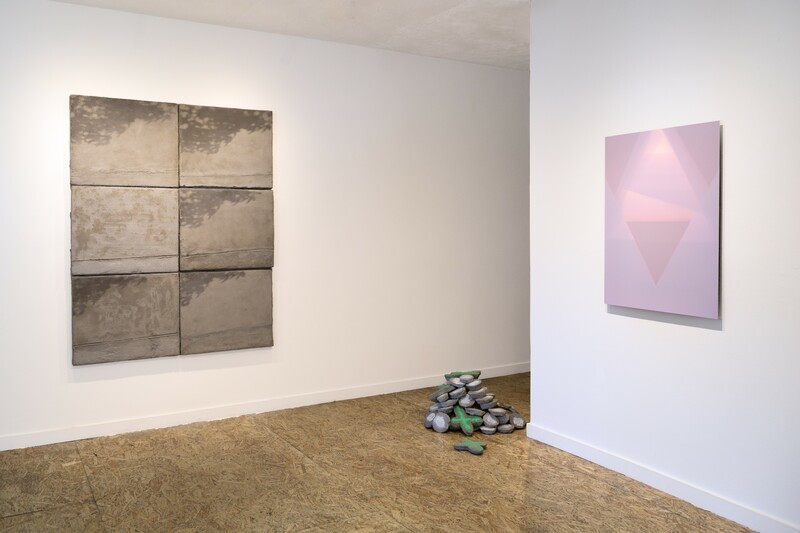 Chandra Cerrito Contemporary, 480 23rd St., Oakland, ChandraCerritoContemporary.com. $5 First Friday at Chabot: Each $5 First Friday at Chabot is an exciting and immersive experience for all ages! Join us each month for hands-on activities and live demonstrations that are fun for the whole family. Each month there will be new things to explore!, Some activities have limited capacity and are first come, first served. Pre-purchase your tickets First Friday of every month, $5, www.chabotspace.org/first-fridays.htm. Chabot Space & Science Center, 10000 Skyline Blvd., Oakland, ChabotSpace.org. Friday Nights @ OMCA! : Jam to live music, get crafty at drop-in art workshops and join local foodies for a variety of demos and tastings. Gallery admission is half-price for adults and free for ages 18 and under. Fridays, 5-10 p.m., Free. Oakland Museum of California, 1000 Oak St., Oakland, MuseumCA.org. Oakland First Fridays: Catch DJ Wiley-E, The Onyx, and Stimuli at the 24th St. Stage; TuRFinc dancing in the street; and DJ Elembe at the 25th St. Stage. 5-9 p.m. Telegraph Avenue from W. Grand to 27th Street, Oakland. Rapid Response : Collage and painting by Zakiya Zazaboi. Fri., Aug. 3, 4-9 p.m., free, Revolve Cafe, 1714 Franklin St, Oakland, RevolveCafe.com. First Fridays at The New Parkway: Happy hour specials: $10 for a pint and appetizer, 6-9pm (with flyer). Artist showcase: All Around Oaktown, by Bayflix (reception from 6-7:45 p.m. in the Mezzanine). Karaoke in the Mezzanine, 8-11 p.m. Throwback Theater: Love Jones, 9:30 p.m. First Friday of every month, 6-11 p.m., free. The New Parkway Theater, 474 24th St., Oakland, TheNewParkway.com. First Friday Follies: Burlesque performances, with MC JUICY D. Light and music by, Elegant Trash First Friday of every month, free. Stork Club, 2330 Telegraph Ave., Oakland, StorkClubOakland.com.